It's time for the January Monthly DIY Challenge! 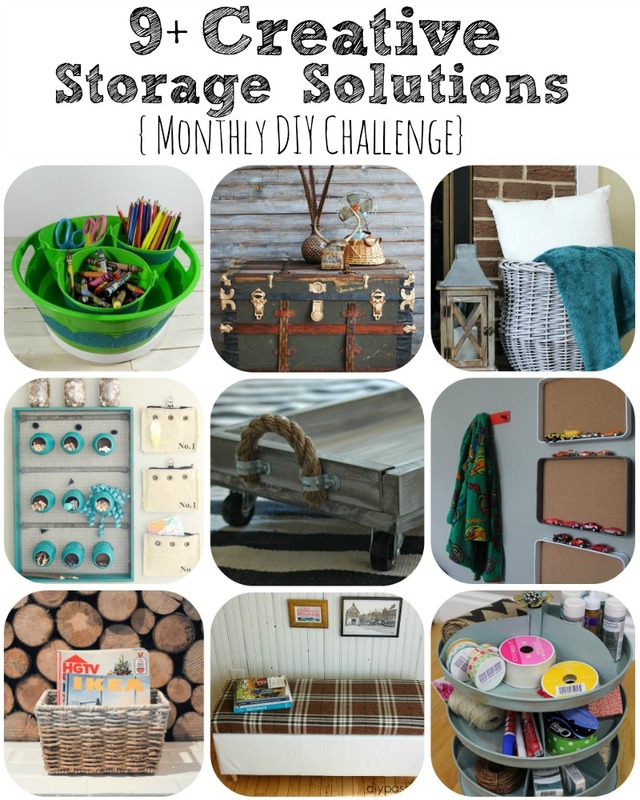 This month, my blog friends and I are getting organized with creative storage solutions! We each chose some sort of storage container to create or update, so make sure you take a look at all of the fun DIY organizing projects at the bottom of this post! For my project, I decided to update a basket that I've had for years! I bought it in college to store my massive nursing text books in. Back then I had lots of dark brown furniture and accessories (along with teal of course!) and this basket fit right in. Now, it's old, doesn't quite fit my taste anymore, and could use a little facelift!! It's perfect for storing blankets in, and I happen to be a blanket hoarder! There are warm cozy blankets hiding in almost every room of this house! I'm excited to now have a cute way to store them! 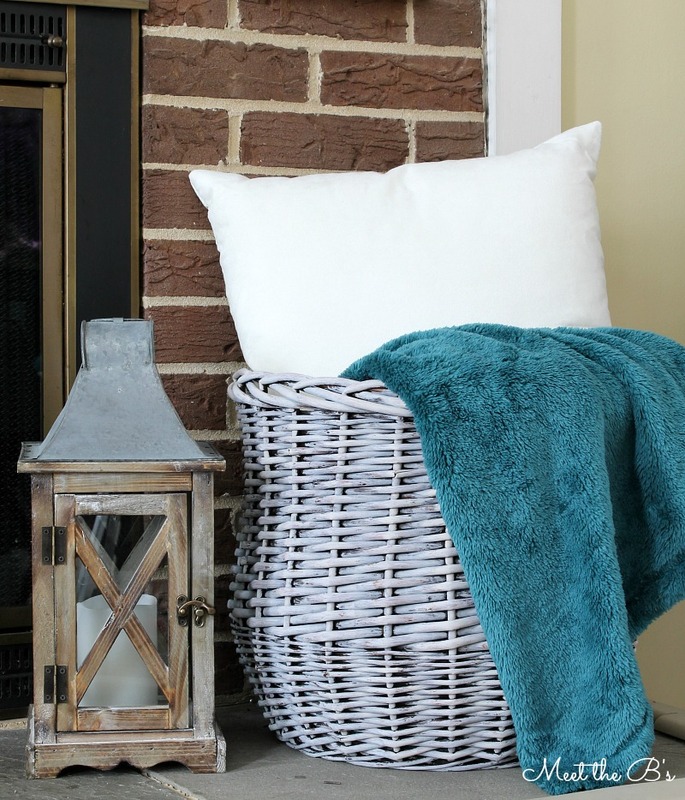 You might remember this basket from my Christmas home tour. I had it set up next to the fireplace with a festive blanket I found at Target last month (see, blanket hoarder!). I had actually never put the basket in this spot before, but I really like it there! It's found it's new home! So here's how I gave it a little makeover! First, I made a grey wash using chalk paint and water. I used Decoart's Americana Decor Chalky Finish paint in "yesteryear." Add enough water to get the consistency you want. Chalk paint is pretty thick, so I added a lot of water. I would estimate maybe 3 parts water to 1 part chalk paint in this case. Once you have your mixture, quickly brush it over the basket. Don't worry about getting it perfect. Letting a little bit of the original stain show through makes it look aged. It should dry fairly quickly, which is one of the reasons I love chalk paint! Once dry, if you find it's not "aged" to your liking, you a fine grit sandpaper to remove the paint in some spots. 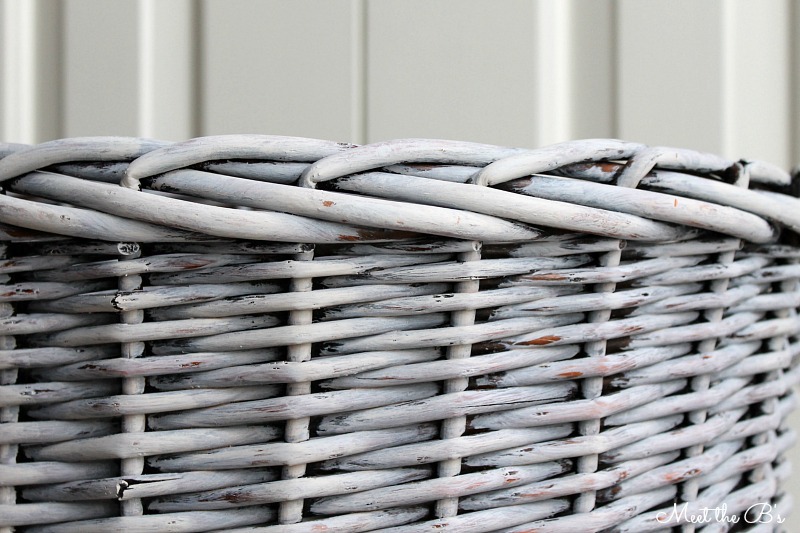 Next, I took a warmer greige color and dry brushed it over the basket to add a little more texture and dimension. It's hard to see the difference in the photos, but I promise it's there! 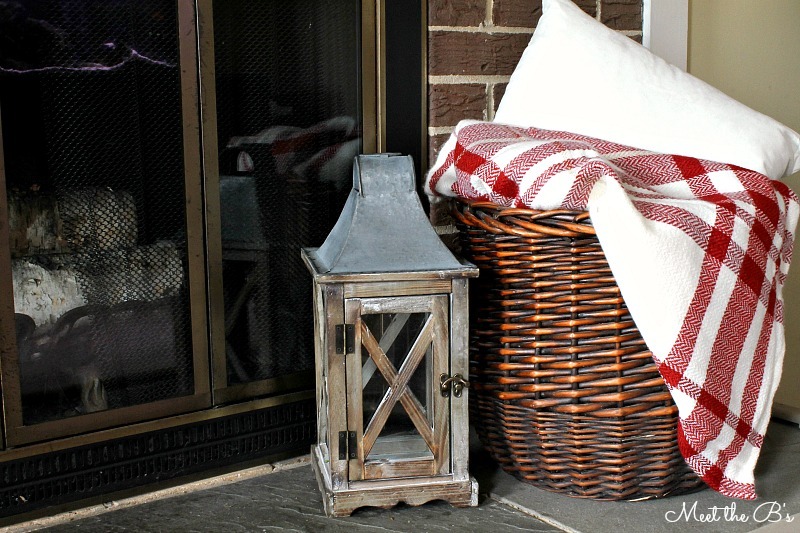 For this step, I used Decoart's Americana Decor Chalky Finish paint in "primitive." To dry brush, take a stiff bristled brush (I like to use a stenciling brush) and dip the very end in paint. You may even want to brush it onto a paper towel before putting it on your project. It should be dry enough to just leave streaks of color. Then, quickly brush it over the areas you want to add color to. And that's it! Such a simple project that make a big difference! I love how it turned out! It really brightened up the space! Now for the rest of our creative organizing solutions! Ready for more inspiration? See the rest of our monthly challenges! SUPER cute Nicole!!! 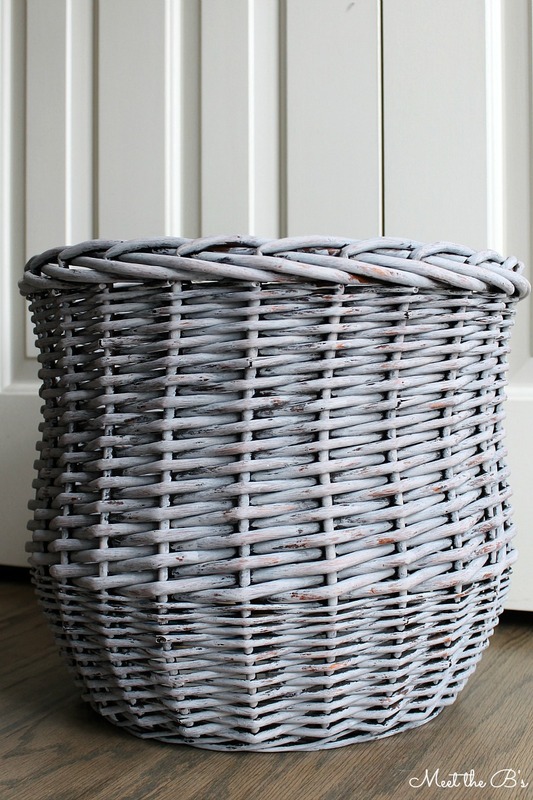 Why have I never thought to chalk paint a basket before?! BRILLIANT! Thanks, Kristi! This was so easy, I think I'll be giving a few more baskets some love! Hahaha I ran into another blanket today that I was dying to buy at Ikea, but I restrained myself :) Glad I'm not the only one! Love the new look! Looks so light and refreshing! So pretty, Nicole! The new color is really fresh. I like it! 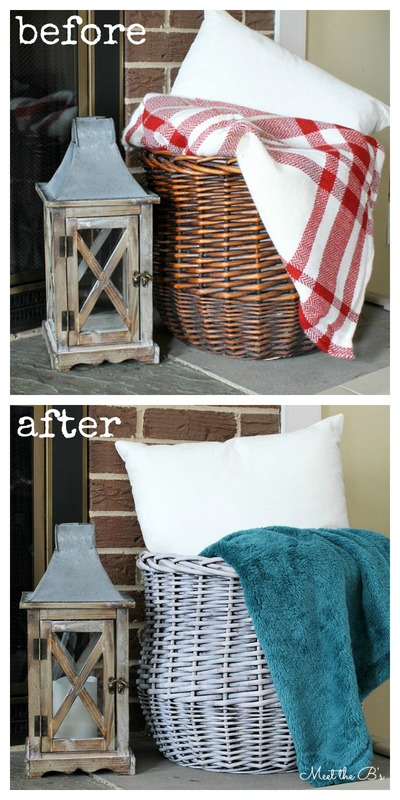 Such a great idea to paint that boring old basket! Looks so much more fabulous now! Love it! The color you chose is perfect! Thanks, Amy! It's one of my new favorite paint colors! Thank you so much, Amanda! I lovvvve anything distressed! 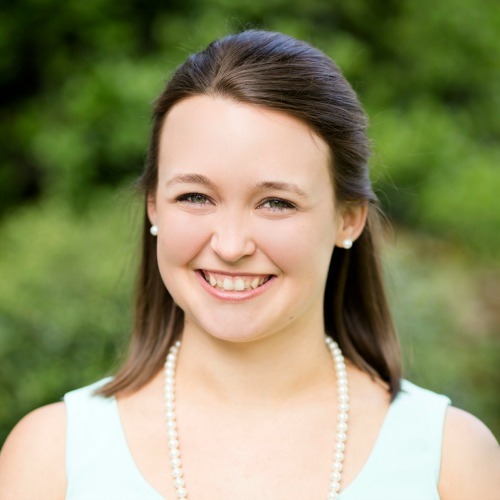 Hey there Nicole…We love your project transformation. 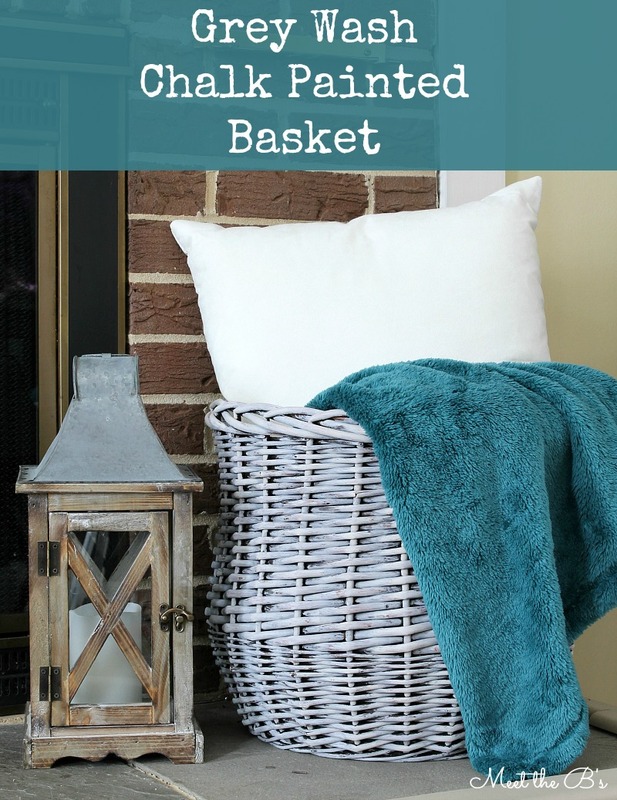 What a creative idea to paint a basket with chalk paint and the color is beautiful! Thank you so very much for linking up at Something to Talk About! We greatly appreciate it and hope to see you next week too! I've never painted a basket before but this definitely makes me want to try Nicole! I'm thinking this is going to open a ton of possibilities. Thanks so much for sharing this at our Something to Talk About Link Party. I'm going through my closets tomorrow to see what baskets I can paint! Can't wait to see what you have in store next week. I love the painted basket! This is such a great idea! It is cheap, it looks great and it is such a great storage spot! Thumbs up!